For so many occasions, Rwandan courts have suffered massive cases of divorce among married couples. At some point, young couples – say the just married ones; end up filing divorce cases to courts as early as one month after the wedding. The trend is not only in one part of society. It has even spread to churches. To help Christian families reduce or get rid of the growing cases of divorce, renowned Anglican Reverend Canon Antoine Rutayisire has released a new book that is expected to enable Christian families to live in harmony and reduce the number of alarming divorces and broken families. 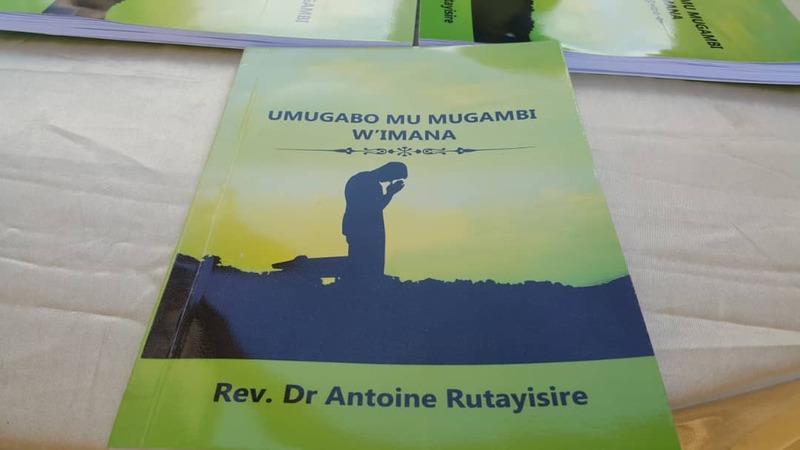 The new book: Umugabo Mu Mugambi W’Imana (A Man in God’s Plan) was released on Sunday, July 1, 2018 during the 10th anniversary of celebrations to mark the inugaration of Rwanda Anglican Church (EAR) Father’s Union – an event held at the Remera Parish church in the capital Kigali. 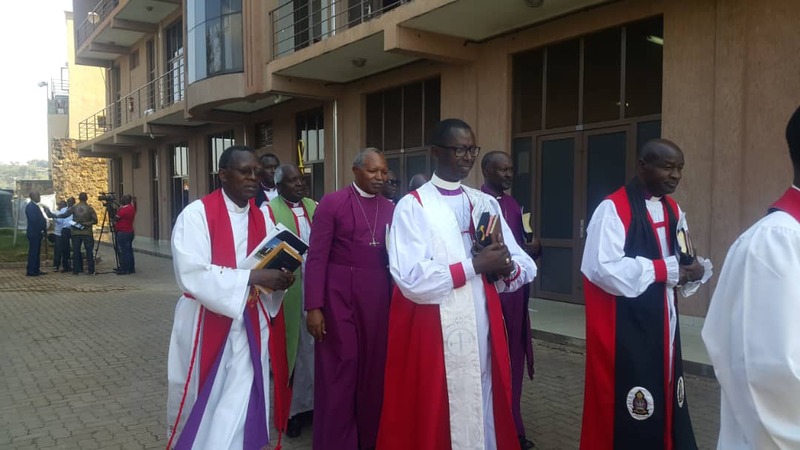 The event was also attended by EAR Archbishop Laurent Mbanda, and retired archibishops Onesphore Rwaje, Emmanuel Kolini, and retired Bishops; John Rucyahana, Josias Sendegeya and Augustin Mvunabandi among other serving bishops. The 210 page book, written in local vernacular Kinyarwanda, gives guided biblical steps of how a man should leave his parents and be with his family as planned by God not as by his own plan. “A man as a head of family should be a coordinator in the family, not a problem causer. I have never seen my head beat my legs and hands, but instead it coordinates messages to the whole body” Pastor Rutayisire said in his Sunday sermon. While there are no official statistics, reports indicate that numbers of divorce cases are increasing countrywide. “Divorce is a reality in the church but we are now focusing on monitoring the wedded families, by grouping them in categories, where they can be trained and taught more about love” Kazubwenge said. Started in Remera Parish in 2008 with 57 members, the Father’s Union has 350 members in at least 11 EAR dioceses. Their primary mandate is to educate Rwandans in building family life. Back to Rutayisire’s book, he said, it is currently on sale at Rwf3000 ($3.5) price tag in Kigali. In its content, the book details biblical perspective on aspects of honest, fidelity, protection and family goals of living in union with intent to raise a God fearing family. Some of the Anglican fathers and mothers said that the numbers of divorces are caused by financial issues, disagreements and lack of communication among couples. “When these issues are not tabled properly they get out of hand unless there is a mediation and early intervention, but also this is because some couples don’t put God in the middle of everything” Samuel Ruzibiza, one of the parents and a member of Anglican Church told KT Press. According to Justice Minister Johnston Busingye, lower instance courts receive many divorce cases. He, however, says this is a normal practice in every evolving society. “Personally, I have a feeling that divorce is normal like in any evolving urbanizing country as Rwanda and youth think they can always take decisions when things don’t work out,” Busingye told KT Press. A latest report by the National Institute of Statistics of Rwanda (NISR) indicates that 15.3 % of Rwandan women live together with their partners in informal unions. On the other hand, the report says, 13.5 % of Rwandan men live in similar conditions. The report, which surveyed a sample of 13,671 women and 6,329 men between 15-59 years indicate that only 50.5% of women were in unions whether formally or informally against 47.5% of 5,687 men interviewed between 15-49 years of age.